Installation on all equipment sold. 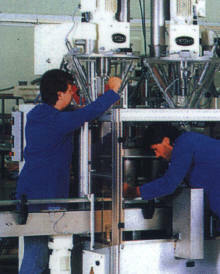 Manufacturing of parts and ancillary equipment. Full service history records on every machine sold. Mobile phone communications with all service engineers for fast response times. Friendly and courteous service by qualified staff. We aim to provide cost effective, practical solutions to practical packaging problems.